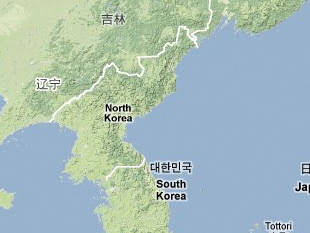 According to a South Korean press report, North Korea established a factory in Ch'ŏnjin in 1979 for the production of SA-7 SAMs, which North Korea first received from the Soviet Union in 1974. The press report does not identify the factory name, but it is apparently the same factory that Bermudez identifies as the "East Sea Light Electric Factory." According to Bermudez, the factory also produces guided anti-tank missiles. According to North Korean defector, An Yŏng Ch'ŏl, Kim Jong Il ordered the increase in production of surface-to ship missile in 2000. An says that as a result of Kim's order, a facility in Ch'ŏngjin began mass production of "230mm surface-to-ship missiles." However, the specific system designation is unknown. Oh T'ae Jin, "Puk, 87 Nyŏnbut'ŏ Scud Yŏn 50 Ki Saengsan/Missile Poyu Panggongshisŏl Hyŏnhwang," Chosun Ilbo, 3 February 1991, p. 5, in KINDS, www.kinds.or.kr. Joseph S. Burmudez, Jr., The Armed Forces of North Korea (New York: I.B. Tauris, 2001), p. 284.